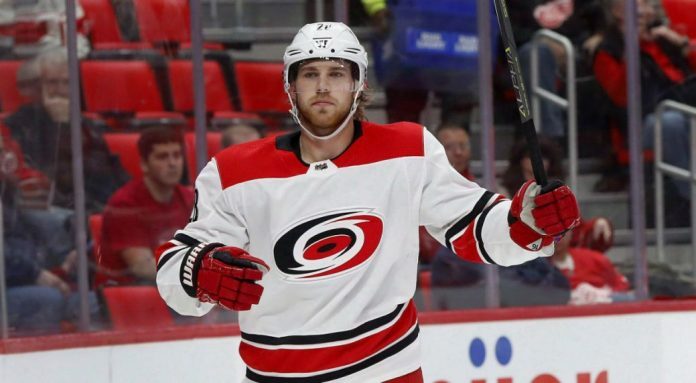 The Calgary Flames sign Elias Lindholm to a 6-year deal. The Calgary Flames have signed centre Elias Lindholm to a 6-year, $29.1million contract. Lindholm will carry an AAV of $4.85 million per season. Lindholm scored 16 goals and added 28 assists for 44 points in 81 games with the Carolina Hurricanes last season. The 23-year-old is coming off a two-year, $5.4 million contract signed prior to the 2016-17 season. A native of Boden, Sweden, Lindholm has played his entire five-year career with the Carolina Hurricanes, after being drafted with Carolina in the first round (5th overall) of the 2013 NHL Draft.